For anyone who has ever considered attending a women’s tech conference or getting involved with organizations that seek to close the gender and diversity gaps in cybersecurity, I want to encourage you to do so. The value in these organizations is that they think outside of the current cybersecurity box in order to provide equity that, in turn, strengthens our technology and security. 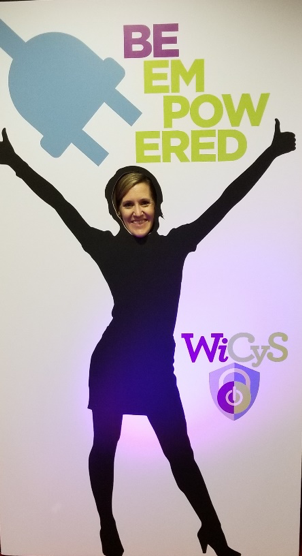 As a first-time attendee to WiCyS (Women in Cybersecurity) Conference, the word I would use to describe my experience is “empowered”. This conference isn’t just for women, but also allies who understand that having women on their teams makes them stronger. This conference was filled with women and allies who are students, professors, and professionals within the tech sector. I learned so much valuable information regarding current research and roles within cybersecurity while developing a stronger network that has a commitment to helping me succeed in my cybersecurity education and future career. Throughout the conference, I was able to engage with women who are researching or working in many different cybersecurity arenas. I attended sessions covering cracking codes and sequences; gaining initial access in penetration testing through phishing; seeking out and applying for government jobs; hacking day-to-day travel of cars, boats, and planes; looking at Internet trolls, and looking at incorporating social engineering (human behavior) learning into cybersecurity education. 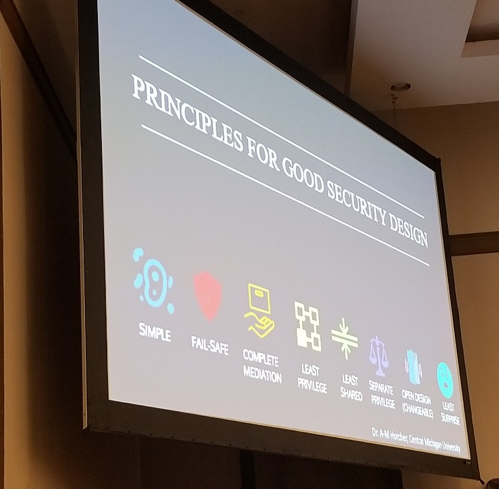 Through 5-minute Lightning Talks from people in academia and industry, we were introduced to topics ranging from network security and mapping Internet misconfigurations to the discussion of cybercrime and different threat actors and landscapes. Several presenters also shared research on the behavioral (or human) aspects of cybersecurity and how we can predict human behaviors that will have an impact on cybersecurity. 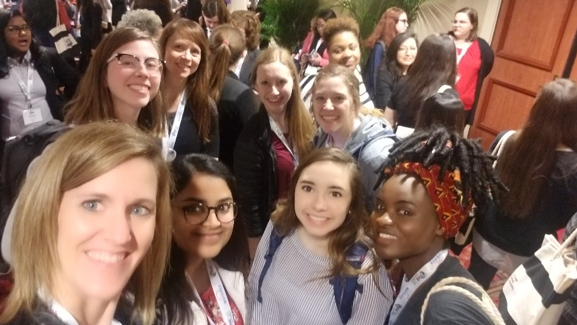 The greatest experience in attending this conference was the amazing networking opportunities provided through being face-to-face with other women and allies in cybersecurity, as well as in the career fair where many educational and professional booths presented opportunities that were available to women in cybersecurity. In a community that does a lot “online”, it was great to be able to meet others in person and have meaningful conversations about what we are looking for our future within cybersecurity. If you are offered (at any age) the opportunity to attend a women’s cybersecurity conference or work with an organization that is building greater equity in cyber fields, I highly recommend taking advantage of the opportunity. The experience will leave you feeling empowered to start or continue on your cyber journey.